4 hotels with a sea view are waiting for you in Fouesnant. In the south of Quimper, Fouesnant offers 15 km of coastline offering varied seascapes: beaches, rocky coves and dunes. 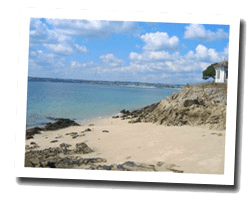 At the seaside you can find three areas: Mousterlin, with its protected natural area, the charming village of Beg Meil flowered with rhododendrons, and Cap Coz, a sandy headland. Glénan islands, off the coast, are often mentioned as a Breton Tahiti. 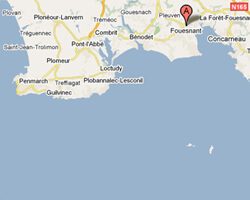 In Fouesnant enjoy the pleasure of a sea view hotel.